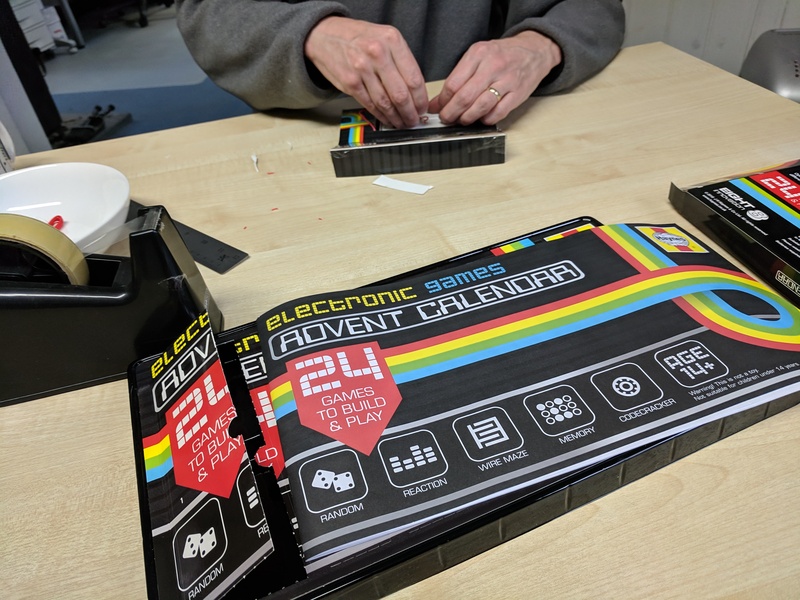 We have a HAYNES advents calendar this year, which contains a circuit board and components which will lead to being able to play 24 games! Day 1 we had to cut out and build the housing, as well as attached the power supply to the circuit board. Coffee times will never be the same again!